I don’t observe the moon as much as I would like. It’s a shame, because when I do it, I always really enjoy it. 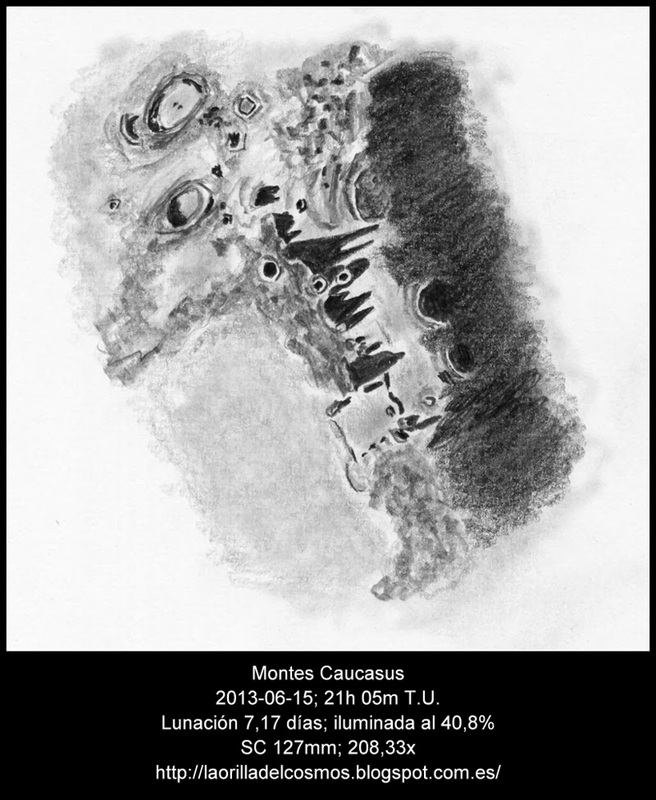 On the seventh night of lunation, the Montes Caucasus shadows are really exciting. I would like to know how to draw better to capture what I could really see that June night. It was amazing. Transparency: Clear. A little light pollution. This is a wonderful capture of the Caucasus mountains. You don’t need any help with your sketching ; as far as I can see you are doing great as of now. An excellent observation of the Caucasus Mountains (Montes Causcasus). The shadows are nicely rendered. Thank you for sharing to with us all.